This was my third visit to Barcelos, Khan Market & I was greeted warmly by Rohit Malhotra, Head of operations, Barcelos India. After trying out the Black Burger & Red Burger, it was time for the White Burger. Yes! A white burger! They have proved the notion wrong that burgers only come in brown colour. Now they come in black, red & white colours as well that too without preservatives. My eyes longed to see the white bun. It is available in 2 variants: Vegetarian & Chicken. I fondly called it the White Bun because it is made from milk powder & coconut. Now the South African recipe i.e. using coconut is very famous there and now has come to India at Barcelos. A slow baking technique is used for making the bread of white burger white & soft. In fact, it is made when the oven is off. 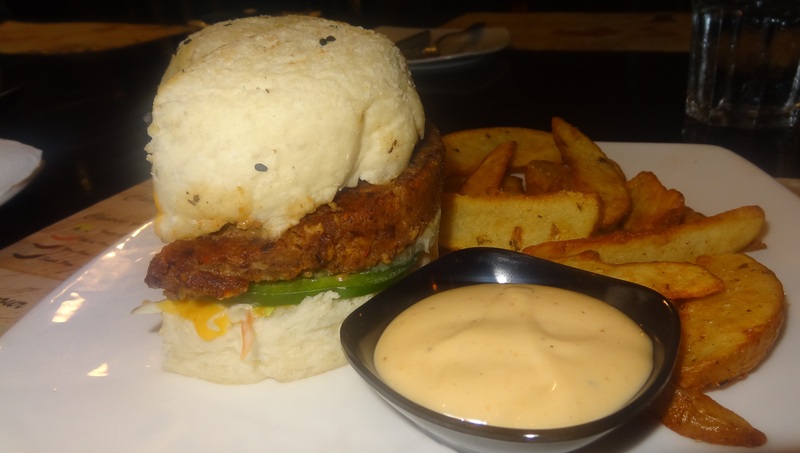 We tried the Vegetarian White burger which was full of coleslaw (bottomest), then capsicum & a slice of orange with a soya based patty with a filling of mango and peri sauce along with onions wrapped in a nice envelope of a soft bun with white sesame sprinkled. It had a very unique taste. Quite different from the burgers I have had till date! 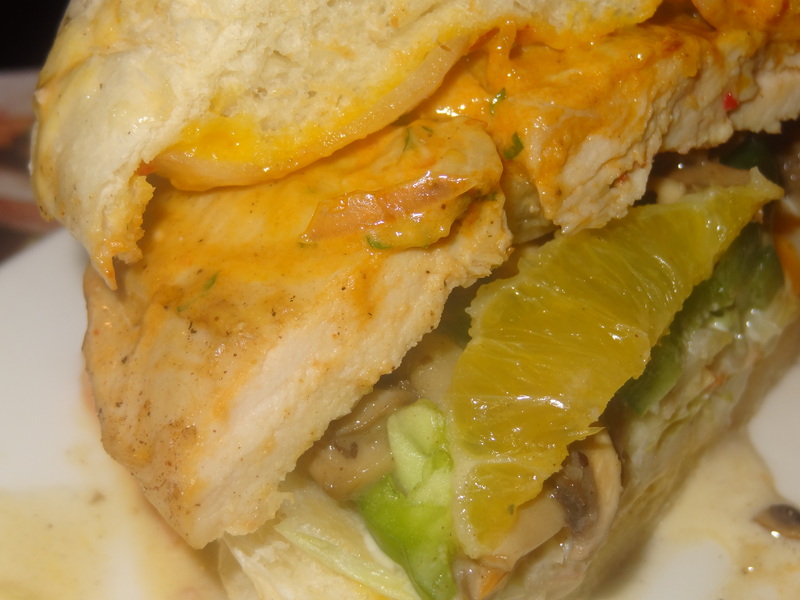 The Chicken White Bun was also fresh with chicken breast inside full of flavours. It had mushrooms, orange, lettuce, capsicum, green peppers & coleslaw with onions on the top. The chicken was soft, juicy, fresh & tender without any doubt with no oil inside the lovely burger. 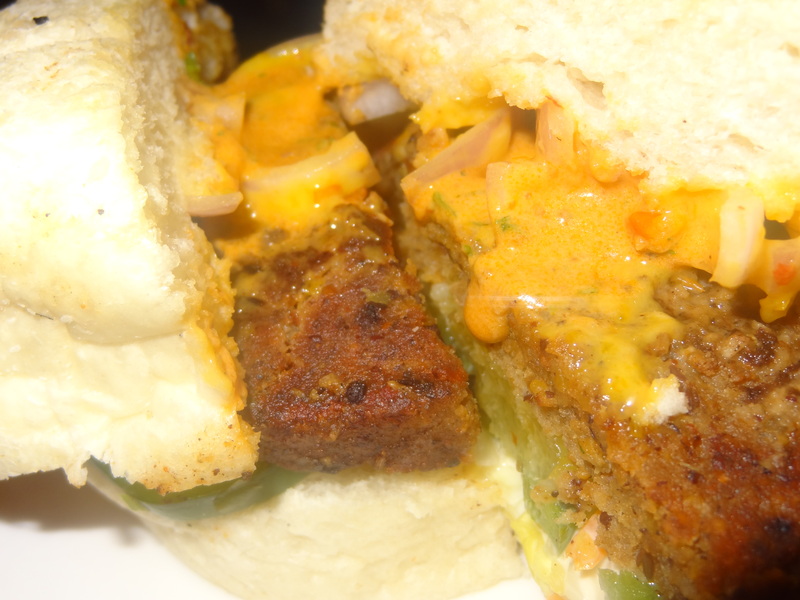 The mayo peri dip was served with both the burgers which was very tasty & tempting. The potato wedges served along were also soft & yum. It is a fun idea to have this bun made of milk which one never imagined- the preservative free chicken or the vegetarian variety to please your heart & milky white cravings. Barcelos has done a lot of alteration in tastes & presentations so that the Indian consumers like the food. They bring out the best & unique things in the market with a slow baking technique (very rare). What’s more, do you wanna have them all together without stressing your belly too much? Barcelos is all set to introduce a platter of mini burgers so that you can taste all flavours and colours (white, black, red and brown) in one go. My Square at Select CITYWALK: Something for everyone!